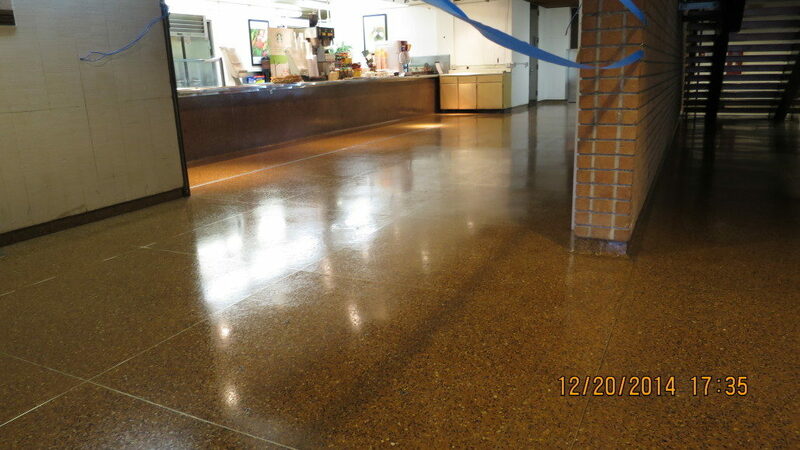 In late 2014, we did a restoration project on 6,000 square feet of terrazzo flooring in the Student Center at the College of Marin, in Kentfield, CA. 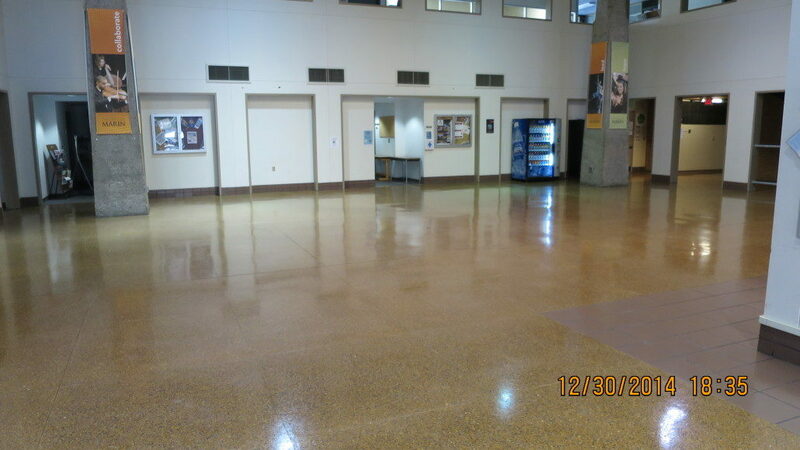 The floor had not been restored since the Center was built in 1965, and layer upon layer of wax had built up over the course of fifty years. In our restoration process we first used a stripping agent to emulsify the old coatings, then we agitated it with a floor machine. 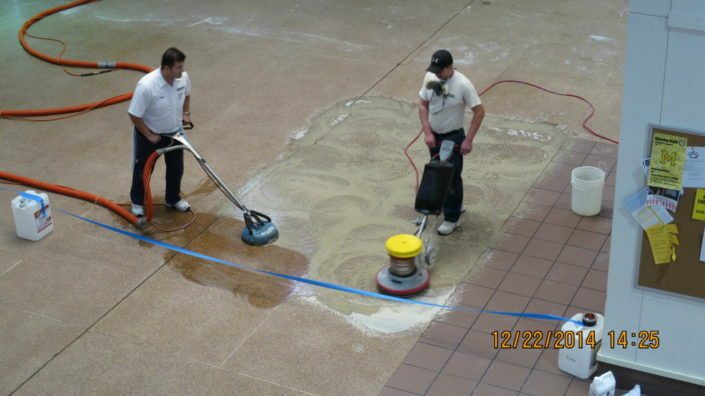 We then vacuumed up the slurry with a high-pressure high-temperature vacuum steam machine. 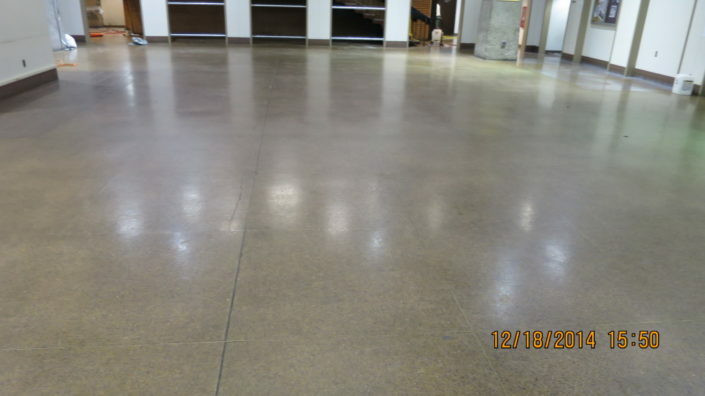 We resurfaced the floor using 100-grit and 220-grit diamond pads on a weighted floor machine. 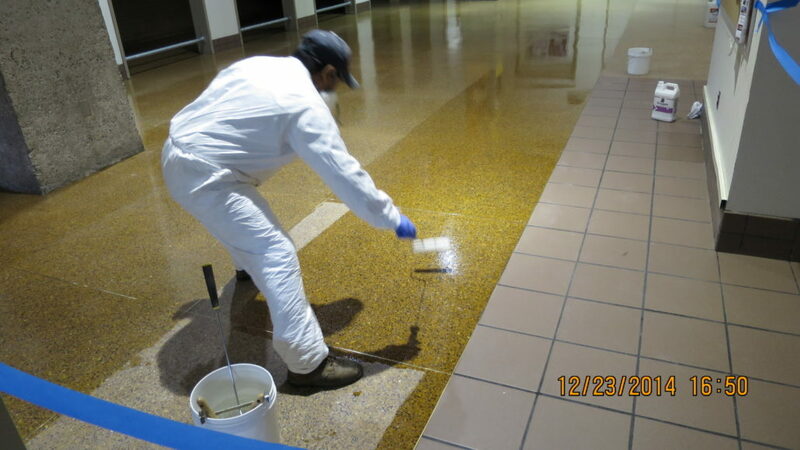 We then sealed the floor with two coats of Crystal Seal, a solvent-based acrylic often used in airport terminals. 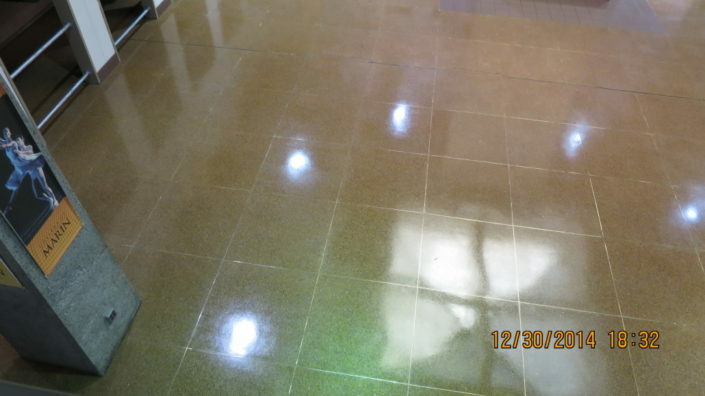 The final result was a floor as shinny and lustrous as the day it was installed.